I am re-posting this photo from earlier this year because it fits so nicely into Breathe Deep the Gathering Gloom. 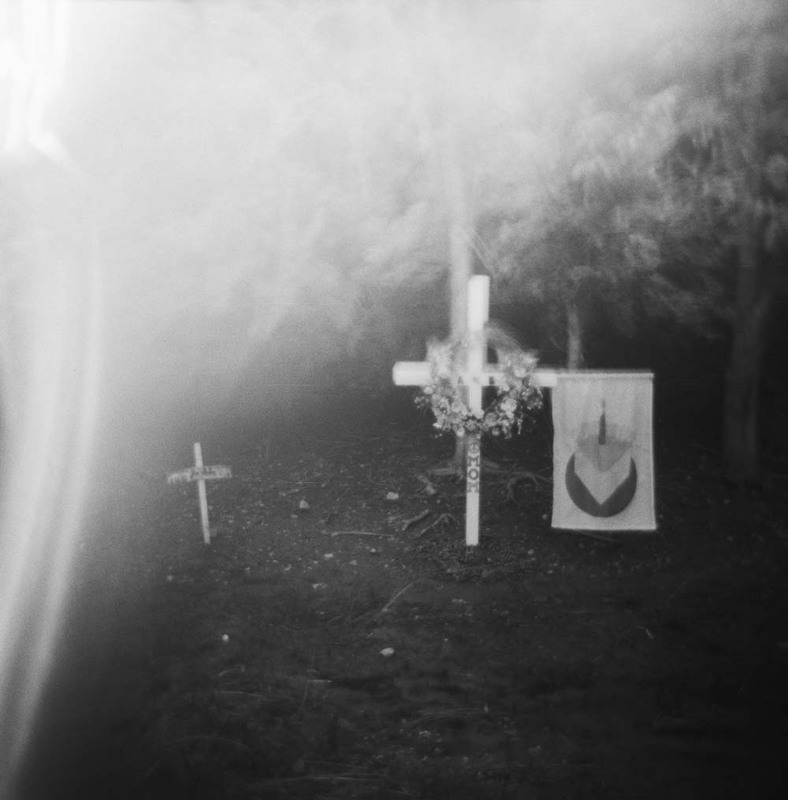 If I believed in ghosts (I am an agnostic on this particular matter), I would say that this image captured some sort of activity or energy associated with these roadside memorials. The first image I made of this scene is below. Just a few seconds later, I captured the one above. Same camera (my trusty Holga 120S). Same scene. Same light. Dramatically different. Gotta love toy camera photography. My sons tried several times over the years to get me to sit with them and watch those ghost hunter shows. Not really my thing. And as the image above suggests, maybe you don't need all those sensitive electronics to detect paranormal activity. If ghosts had a sense of humor (and I hear some do), then they probably would present themselves only through the humble lo-fi Holga -- what I have dubbed The Parahogal.